It’s important to ensure that the system is compatible with the surface that it will be applied to. This ensures that the system will not only adhere to the substrate but will be effective for the long term. PerfectMembrane can bond to a wide variety of substrates including paint, ceramic tile, adhesives, epoxy, sealed concrete, masonry, wood, and carpet. It can therefore be used in various areas to achieve a waterproof surface without the need for special surface preparation. Waterproofing a surface can be both time consuming and expensive. Choosing a long term solution ensures that you don’t have to undertake the exercise again for a long time. It also ensures that the substrate is protected for longer, therefore, increasing its lifespan. 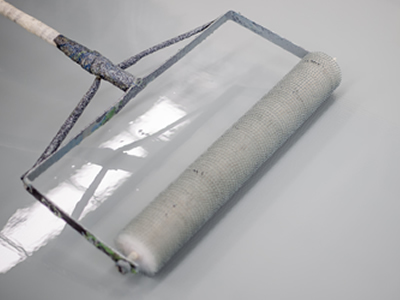 PerfectMembrane system provides long term adhesion to substrates. The primer ensures strong bonds are formed at the molecular level ensuring long term results. It is important to choose a system that is easy to install with a high success rate. This is important for both pros and do-it-yourselfers. PerfectMembrane will help you save time and money. It reduces the prep time and can be installed without the need for specialized equipment. 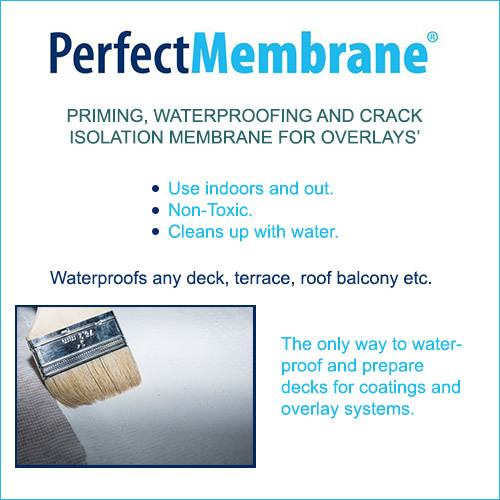 PerfectMembrane is a proven waterproofing system that will help you achieve great results for longer.